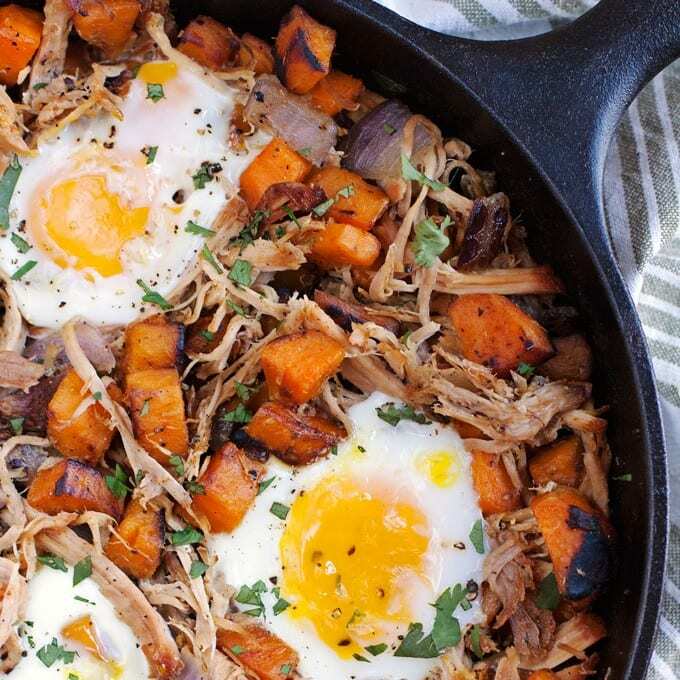 Pulled pork sweet potato hash is one of my all-time favorite brunch recipes. 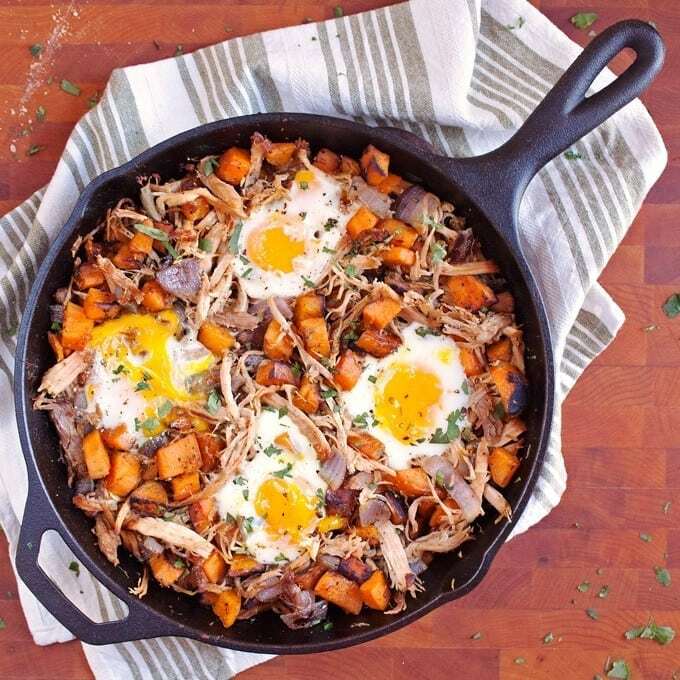 It combines several of my favorite ingredients – sweet potatoes, over easy eggs, and pulled pork. I like to think of it as a foodie, fall version of corned beef hash. 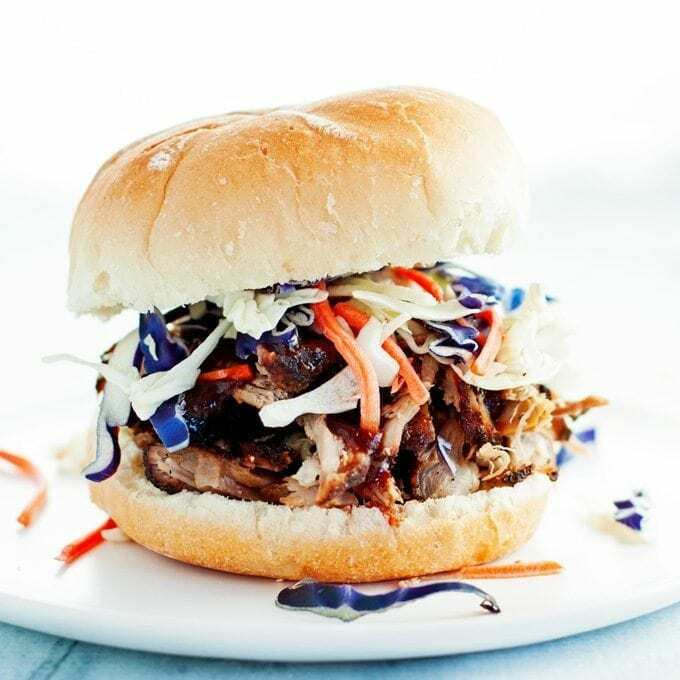 To make the pulled pork, cook a pork shoulder (or other cut) in a crockpot the day before. I usually put the shoulder in the crockpot with a ½ cup of liquid (water, wine, or beer work well) and let it cook on low for about 6-8 hours. Shred with fork. 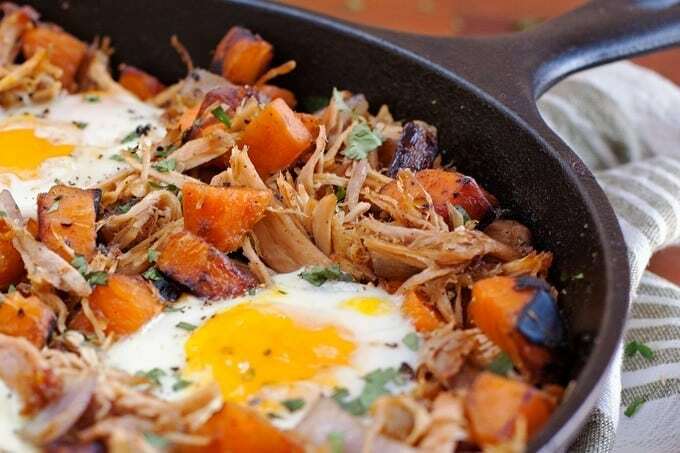 Once you have the pulled pork, the hash is quick and easy. Start by cooking diced, seasoned sweet potatoes in a cast iron skillet on medium-low, stirring occasionally. While the potatoes are cooking, chop the red onion. I just discovered this moment that dicing means to cut into the size of a dice. Seriously? That makes it so much easier to remember! 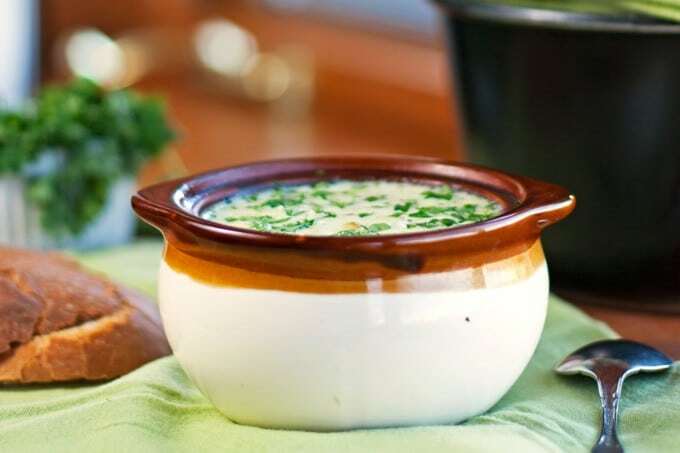 Once the potatoes are golden brown, add the onion, a little more salt, and continue to cook until the onion is soft. Stir in the pulled pork. Crack eggs into small pockets in the hash. Cover and cook on low until eggs set. 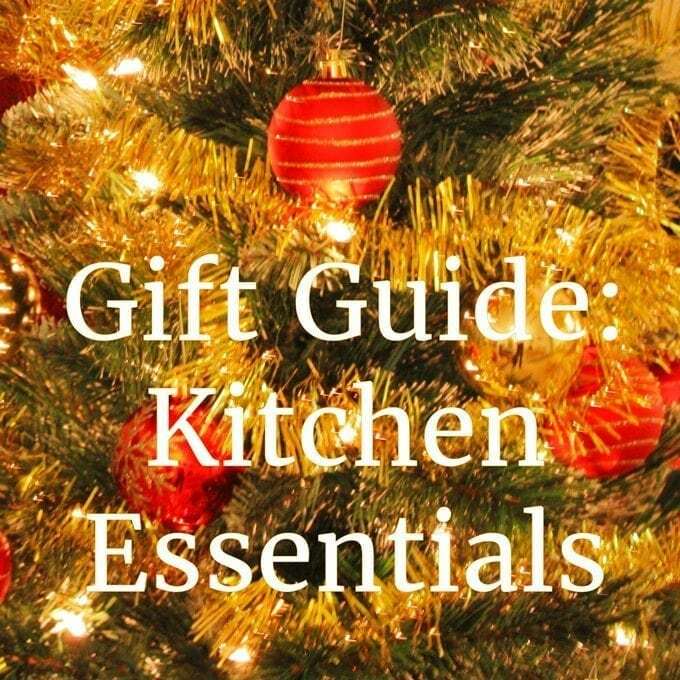 You can also cook your eggs separately however you like or, if you’re feeling extra adventurous, put the whole skillet under the broiler until the eggs are done. Add a few green herbs (I used cilantro), sprinkle with salt and pepper. Brunch is served! Peel and chop sweet potatoes into bite-size pieces (about ½ inch cubes). Heat skillet on medium-low with butter and oil. Cook sweet potatoes in skillet until golden brown, stirring occasionally, about 12-14 minutes. Add red onion, sprinkle with salt, and continue to cook until the onion is soft, about 5 minutes. Salt and pepper to taste. Turn burner on low. Stir in pulled pork and heat for a few minutes. 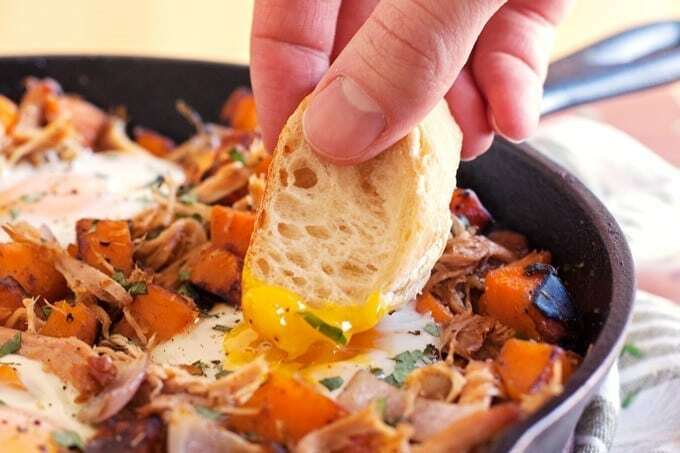 Make small pockets in the pulled pork sweet potato hash to fit the eggs in. Carefully crack an egg into each pocket. Cover and let cook until eggs are set. Just before serving, sprinkle with fresh cilantro, salt and pepper. I made this last night, and it was RIDICULOUSLY GOOD!! The sweet potatoes were perfect! 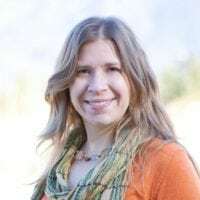 Initially, this didn’t sound like a good combination to me, but it is all things that my husband likes, and I have to throw him a bone, occasionally, so I tried it. SO GLAD I DID!! Thanks for the recipe! The pictures sold me on it! I made this last night using some leftover pulled pork and it was amazing. It made me question why I have avoided hash for so long. One thing I wanted to point out though is there is a missing step on the printed form recipe. You are never told when to put the pork in, it just mysteriously is there in step 3. I made pulled pork a few weeks ago and had the idea (in the shower, where the best ideas are always born) to make the leftovers into a breakfast hash. I googled it and got to your blog totally randomly. Best. Breakfast. Ever. Today I had a bunch of barbacoa beef leftovers, so I adjusted the hash recipe with tomato and green bell peppers. My boyfriend and I like to make a special breakfast every Saturday, and your recipe is awesome! 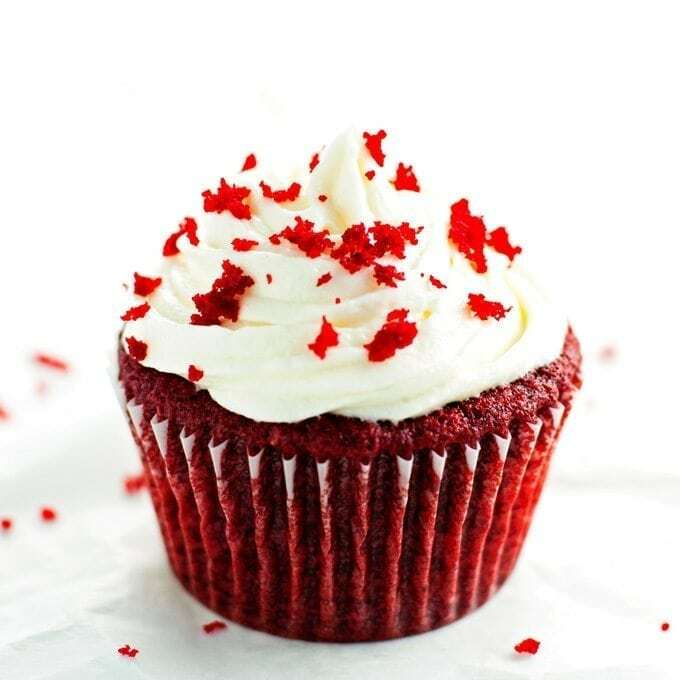 Delicious and versatile. 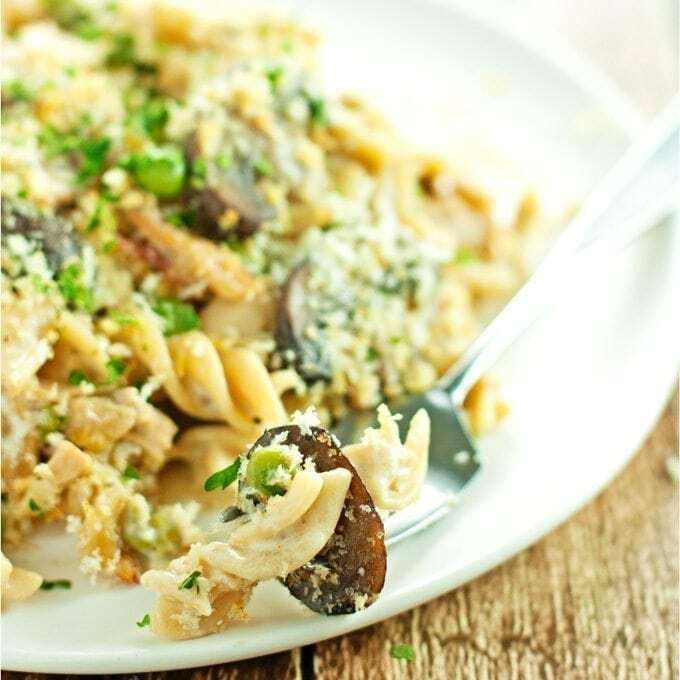 I used your recipe today for my family’s lunch – it was a hit! My middle child, who typically avoids anything “egg”, though it was good- and that the egg was the best part! Thank you! I forgot to add the 5-star rating! This looks fantastic. 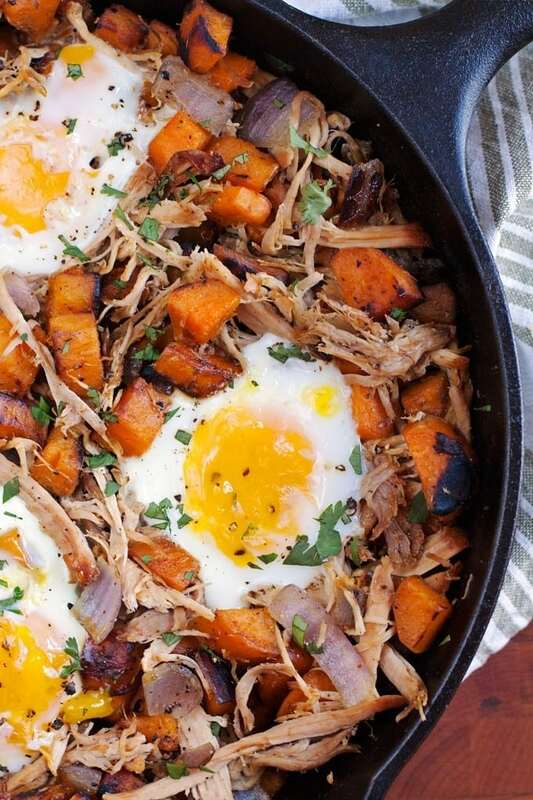 I love the idea of combining sweet potatoes and pulled pork together, which goes so well with sweet things. I love a good breakfast hash! I’ve never tried it with sweet potatoes tho – such a great idea! Thanks Kate! 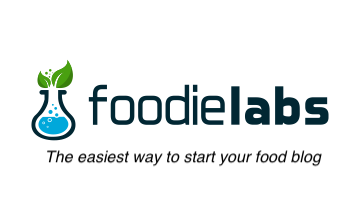 I love dishes with exciting flavor combinations too – each bite is so fun to eat 🙂 Thanks for pinning too!